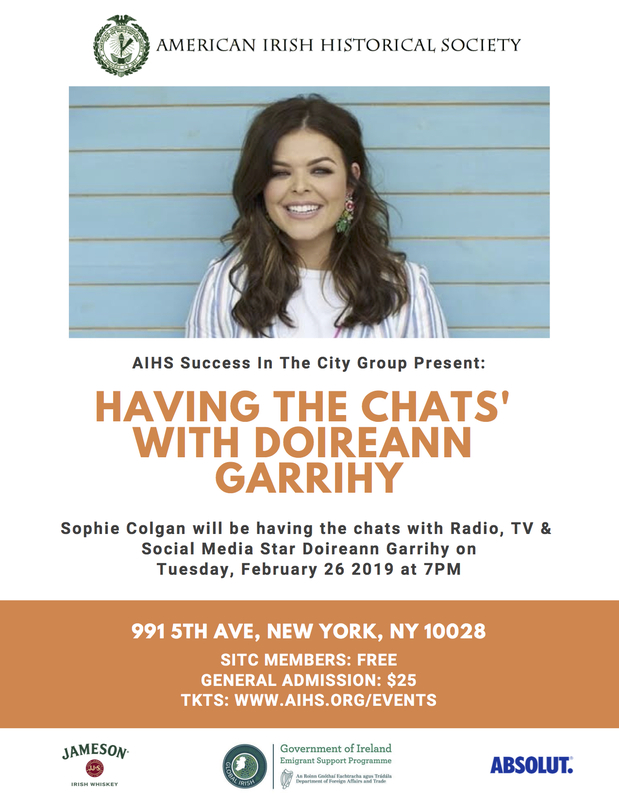 We are thrilled to welcome DOIREANN GARRIHY to the AIHS on Tuesday, Feb 26th 2019! Join us with Doireann to hear about her journey from Radio to TV and everything in between! Doireann reacently launched her pilot show The Doireann Project on the RTÉ Player and season two of The Doireann Project was aired on both RTÉ Two and the RTÉ Player. Doireann also hosted The Podge and Rodge Show on RTÉ Two where the doors of Ballydung Manor have truly been open once again! Known not only for broadcasting on Radio & TV, Doireann’s impressions of Irelands most famous personalities, as well as her entertaining and authentic social media content has resulted in her being one of Irelands most beloved women to watch! Success In The City – the Young Professionals group at AIHS, look forward to welcoming Doireann (AND her Mom Clare!) to 5th Avenue for the chats with our very own Sophie Colgan. Thank you to the Government of Ireland ESP Program for supporting our SITC events. 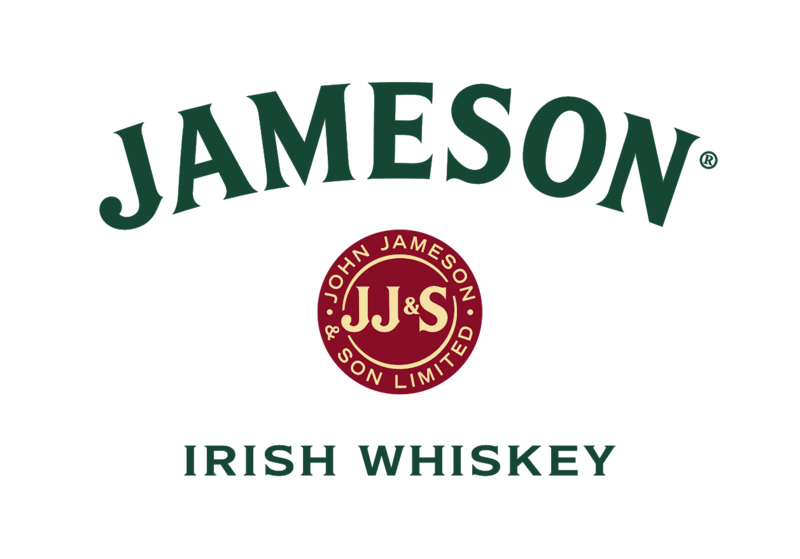 A huge thanks to Jameson for sponsoring drinks on the evening!